Mercator has secured the right to acquire an exclusive option over a porphyry coppermolybdenum-gold-silver deposit in New Mexico, and has commenced due diligence. The deposit has historical reserves of 45.5 million metric tons grading 0.45% Cu, 0.015% Mo, 0.15g/t Au and 2.25g/t Ag (cut-off grade 0.23% Cu), equating to in excess of US$1.3bn of contained metal at current prices. It is believed that the project, which has significant infrastructure in place, could be brought into production within a short timeframe for a relatively low capital outlay. Mercator Gold plc is pleased to announce that it has secured the right to acquire an exclusive option over the Copper Flat porphyry copper-molybdenum-gold-silver project in the Las Animas mining district in south central New Mexico, United States. Mercator has commenced due diligence, following which the Company may acquire the option by making on or before August 14, 2009 a payment of US$150,000 as consideration for the grant of the option. The project is a former producing mine, and important infrastructure remains in place, including the tailings pond, 19 miles of power lines, access roads and a major system of diversion dams and channels. Electrical power is available at site at low cost from the local grid. In addition, a full pre-strip of the ore body has been completed, which along with the infrastructure in place represents a substantial proportion of the capital investment that would be required if the project were to be brought into production from scratch. The deposit appears to have excellent continuity and consistency of grade. It also has a low estimated stripping ratio of approximately 0.9:1, based on previous mining plans. Some 181 reverse circulation and core drill holes have previously been completed (equating to approximately 39,000 metres) along with approximately 300m of underground drifting. Extensive feasibility studies on the restart of production at the project were carried out during the 1980s by highly reputable technical consultants including Dunn-Behre Dolbear and Pincock, Allen & Holt. Information from actual production in 1982 is also available. In order to restart production, a suitable processing plant would need to be procured and commissioned. Detailed metallurgical testwork has been completed, with flotation tests performed on drill core and a 6,000 short ton underground bulk sample. These consistently showed a recovery of 92% copper and the production of highly marketable concentrates with an average copper grade of 28%. The results of this testwork were confirmed during actual production. Mercator has access to highly qualified project-level management with the expertise to develop Copper Flat to production. Much of the groundwork necessary to obtain the permits required for a return of the project to production has been completed. A draft final Environmental Impact Study (EIS) for the project was completed in March 1999 and a Record of Decision was expected by mid 1999. An Air Quality Permit was received in April 1996. New Mexico Mining and Minerals Division permit and New Mexico Ground Water permit applications were pending in 1999 when the then owner of the project entered bankruptcy due to financial problems relating to other assets. The metals (copper, molybdenum, gold and silver) that reside within the Copper Flat deposit are all expected to benefit from relatively strong market fundamentals going forward. During the due diligence period, Mercator intends to appraise all available information on the reserves and resources of the Copper Flat deposit and to evaluate the economics of a return of the project to production on the basis of the latest industry costs. 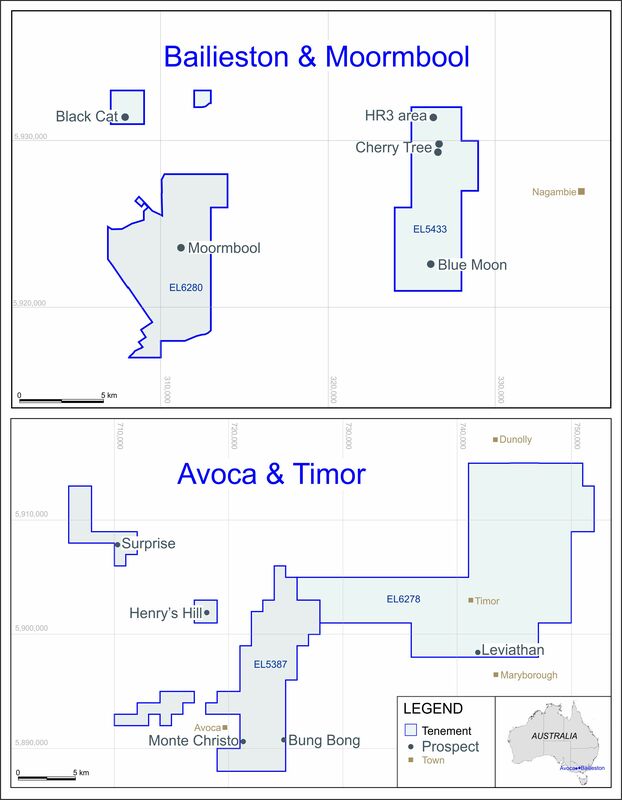 The Company will also undertake an assessment of the potential for expansion of the deposit’s reserves and resources, which is expected to be significant; and an assessment of the likely time required to secure all necessary permits for the recommencement of production. An open pit mining operation treating up to 6 million short tons per annum to produce 13,000- 20,000 metric tons (30-45 million lb) of copper per annum is envisaged. Copper concentrate would be thickened, filtered and trucked to one of the nearby smelters or to the nearest railhead. Molybdenite concentrate would be filtered, dried and drummed for shipment to customers. Tailings are expected to be thickened to 50% solids and piped by gravity to the existing 370 acre tailings pond. The most recent Pincock, Allen & Holt plan for a resumption of production at Copper Flat envisaged the mining of 5.8 million short tons of ore and 2 million short tons of waste annually for 11.6 years. The processing plant was to include a gyratory crusher, a single large semiautogenous(SAG) mill, one or two large ball mills, a single row of large bulk flotation cells, and cleaner and molybdenite flotation circuits. A 35,000 short ton storage pile was to be located between the crusher and SAG mill. Average plant throughput of 16,500 short tons per day, 350 days a year was planned. Through additional drilling, Mercator would seek to achieve a substantial increase in the reserves of the Copper Flat deposit prior to the commencement of production. This would extend the life of the project and ensure robust operating economics. There is significant potential to delineate new resources at Copper Flat. Three target areas, all of which are drill hole indicated, show particular promise. In order to exercise the option once acquired, Mercator would make payments to the vendors as follows: US$1m by February 14, 2010; US$1.85m by August 14, 2010; and US$7m by February 14, 2011. All the above payments are discretionary, and Mercator can elect not to proceed with the exercise of the option at any stage. The final payment may be deferred until May 16, 2011 for an additional payment of US$150,000. The vendors would retain a net smelter return (NSR) of 3.25%. In 1982 the Copper Flat project entered production for around three and a half months. During this period, the operation produced 7.4 million lbs Cu, 2,306oz Au and 55,966oz Ag. Mining was by open pit and processing took place at a rate of 15,000 short tons per day. The mine ceased production as a result of low prevailing copper prices (less than US$0.65/lb as opposed to the current price that is in excess of US$2/lb) and poorly structured financing arrangements on the part of the operator, which had invested a total of approximately US$112 million to bring the project into production.